Just finished updating my bio – if you like a good story, let me know what you think. Ps. 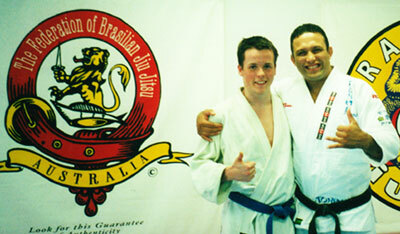 Did you know I took out second place in the Pan Pacific Brazilian Ju-Jitsu Championship 2000? or that I had grapple with a Gracie (photo below)? As I’ve said before, there’s more than meets the eye. ok, you’ve got through the preliminaries, I challenge you to a cappucino showdown. Neil… I accept your challenge!